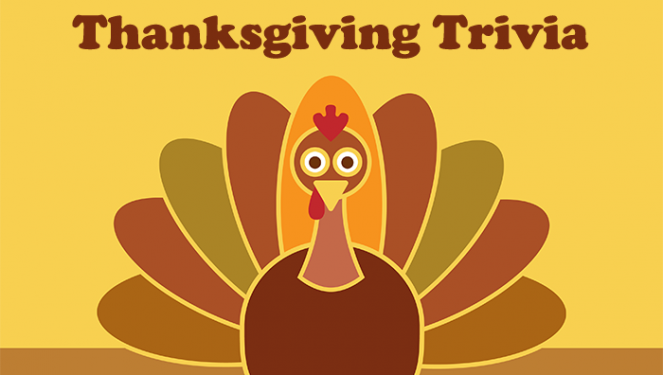 Thanksgiving Trivia Questions & Answers (2018 Edition) + FUN Facts! Canada also has Thanksgiving. They have their holiday on the second Monday in October. The first ever Thanksgiving was held in 1621 at Plymouth by the Pilgrims. The Pilgrims only “celebrated” three days – the Sabbath, fast days, and days of thanksgiving. The first department store to hold a Thanksgiving parade was Macy’s. More than half of the people in the Plymouth colony died that winter of 1621. Every year the President of the United States pardons a turkey, who spends the rest of its life on a historical farm. Cranberries are tasted to see if they are sweet enough to harvest. Turkeys can see behind themselves. Thanksgiving feasts were part of early religion in England before the Pilgrims ever came to the New World. Wild turkeys can fly, but those domestically grown for eating cannot because they are too heavy. Only male turkeys gobble. They do so to attract female turkeys. Cranberries are bounced to see if they are ripe. They should bounce about 4 inches high. They can see 270 degrees. 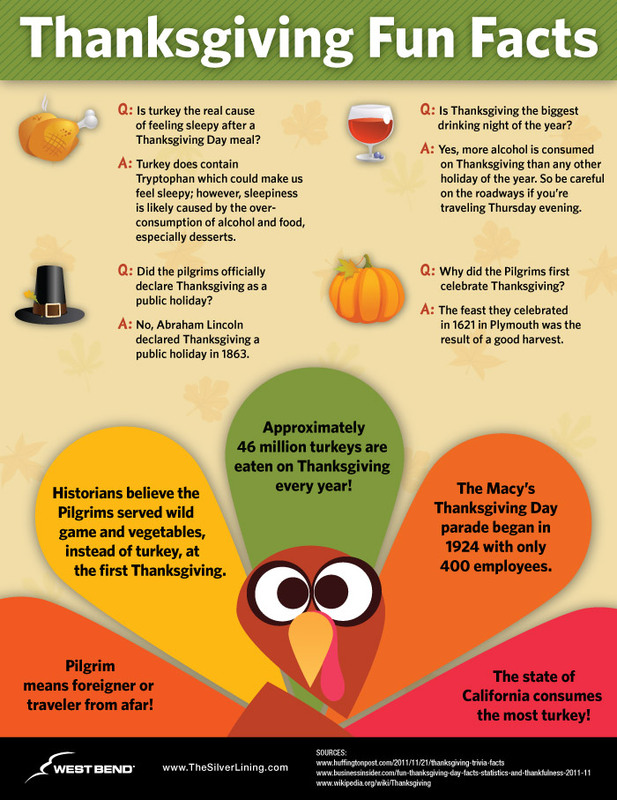 There are so many interesting facts associated with Thanksgiving, most of which are new to people. Read through are list to know everything and everybody associated with this American holiday. Macy’s Thanksgiving Day parade began in 1924 and is 2.5 miles long. The first national Thanksgiving in the United States was proclaimed by the Continental Congress in 1777. Initially, Presidents proclaimed national Thanksgiving – Washington, Adams, and Monroe did so. After 1815, Presidents ceased their proclamations, but by 1850, almost every territory and state celebrated Thanksgiving. Grenada – Thanksgiving Day on October 25to celebrate the anniversary of the US-led invasion of Grenada (one of the three largest Spice Islands in the Caribbean) that began on that day in 1983 to restore political stability to the country. Japan – Labor Thanksgiving on November 23, a day for commemorating labor and production and giving one another thanks. Korea – late September or early October (on the fifteenth day of the eighth month of the lunar calendar); called Chusok, this major harvest festival lasts three days. Sarah Josepha Hale, editor of the popular women’s magazine Godey’s Lady’s Book, began a campaign in 1827 to make Thanksgiving a national holiday. Sarah Josepha Hale also wrote Mary Had a Little Lamb. In 1863, Hale was able to convince President Lincoln that a national Thanksgiving might unite the country after the Civil War. Lincoln declared two national Thanksgivings that year, August 6 celebrating the victory at Gettysburg, and the last Thursday in November. In order to help the country economically, Franklin Delano Roosevelt lengthened the Christmas shopping season by declaring Thanksgiving for the next-to-the-last Thursday in November in 1939. In 1941, Congress permanently established the holiday as the fourth Thursday of November. Swanson had an abundance of turkey (260 tons) in 1953 and a salesman told them they should package it onto aluminum trays with sides similar to airline meals. The dinner had turkey, cornbread dressing, peas and carrots, mashed potatoes, and “apple cranberry cake cobbler.” Hence, the TV dinner was born. According to the Guinness Book of World Records, the heaviest turkey weighed 86 pounds. Ever wonder about the origin of the green bean casserole? Campbell soups created the recipe for an annual cookbook over 50 years ago. Campbell’s sells over $20 million worth of cream of mushroom soup for Thanksgiving meals. Cranberries were probably not eaten at the first Thanksgiving as they were too bitter. Native Americans used the berries as a dye and to heal wounds. 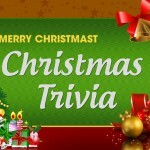 Jingle Bells was originally a Thanksgiving song composed for children to sing in a Boston Sunday School celebration. It wasn’t until a fictional account appeared in the bestselling Standish of Standish (1889), a story about the Pilgrims, that the Pilgrim’s “first Thanksgiving” became associated with the holiday. However, this idea did not become popular until after WWII. There are only two accounts of the 1621 Thanksgiving. Edward Winslow wrote about it in a letter dated December 12, 1621 and published in 1622. William Bradford wrote about it in his History of Plymouth Plantation. Bradford’s account mentions turkey as one of the meats eaten. The first Macy’s Thanksgiving Day Parade was in 1924. Four hundred Macy employees marched from Convent Ave to 145th street in New York City with animals from the Central Park Zoo. It took 66 days for the Mayflower to travel across the Atlantic Ocean. There were 101 men, women, and children on board. The Pilgrims were also called Puritans because they wanted to purify the Church of England from Catholic influence. Those that wanted to separate from the Anglican Church were called Separatists. 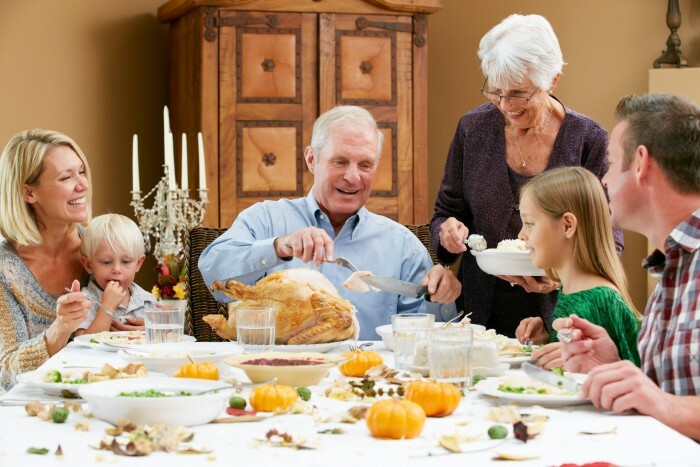 Many of us celebrate Thanksgiving with family get-togethers that may include grandparents, uncles, aunts, and any number of cousins. Our collection of seasonally appropriate Thanksgiving games and activities add an element of fun to your gathering. Simply draw a turkey on a large, rectangular piece of paper. Create craft paper tail feathers. Blindfold players in turn and spin them around a few times before letting them go facing the turkey drawing. Write names on the back of the feathers and see who can get closest to the tail end of the turkey. Keep the youngest kids busy with this fun non-competitive game. 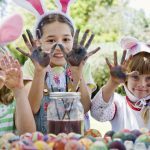 Give each child a small milk carton and a balloon. If you stretch out the tops a few times, the balloons will be easier to blow up. Have each child insert the balloon into the milk carton and blow it up. When they let the balloon go, the escaping air propels the boats. Once they understand how to do it, propelling boats will keep young children entertained for hours. Try doing this before explaining it to the kids to avoid any problems. You will need a bag of Scrabble tiles for every four players. Begin by dealing out seven tiles to each player. Place the remaining tiles in the middle of the table, face-side down. Each player arranges their tiles in front of them and forms them into words. When a player runs out of extra tiles, they shout out, “Pick two!” and every player takes two new tiles from the center pile. The person who uses up all the tiles first making words wins the game. This Thanksgiving version of hide-and-go-see works well with a larger group of mixed ages, especially if the weather outside is mild. Create a turkey feather adjustable headband using construction paper. Have players take turns being “it” and wearing the headband. Very young children can pair up with a parent or other adult for this fun Thanksgiving game. Frequently, everyone is too full after Thanksgiving dinner to engage in much activity. Sometimes even dessert must wait until later in the day. If you have two televisions available, set one to a football game for the adults and have the majority rule when it comes to which game to watch. Set the other television to one of the Thanksgiving Day parades for the kids. Make coffee for the adults, and ice tea or lemonade for the kids, and serve dessert and popcorn or other treats during television time. Thanksgiving is one of our oldest traditions in the United States. Canada also celebrates Thanksgiving and many other countries set aside a day of thanksgiving in the fall of the year. Our Thanksgiving facts and trivia will enhance your knowledge about the US celebration of Thanksgiving Day. Our activities and games add run to any holiday party or dinner. Add enjoyment to your celebration as you have a happy day of thanksgiving wherever you live. Thank you so much for this website! 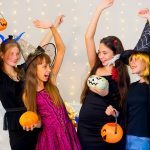 I am using your ideas for a department party in my workplace!! Thanks. Some great stuff for a “turkey came early” dinner next week at our local lodge.